A once prosperous city lays on the verge of ruin. Criminals, thugs and brutes have taken control through violence, theft, corruption and much worse. At the heart of the chaos, the mayor has gone missing. The city is screaming out for someone to clean the festering scum from its streets. 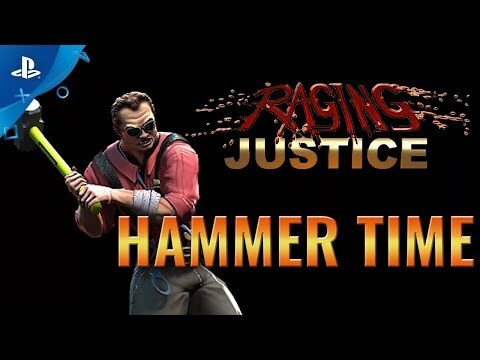 Two hard-hitting cops have heard the call…it’s time for some Raging Justice. BONE-CRUNCHING COMBAT: Rain down maximum brutality on merciless criminals in savage side-scrolling combat! Battle your way through adrenaline-fueled, 2D carnage with unmistakable classic fighting! LOCAL CO-OP: Take on the criminal world alone or enlist a partner to aid you in some co-op carnage! All-out annihilation is ensured as you unleash the rage within…just make sure your targets clear, or you may fall victim to the anarchy of friendly fire! GLOBAL LEADERBOARD: Forget good cop/bad cop...remove your shades and set your sights on becoming the best cop! As the tensions rises, so does your score. Do you have what it takes to be awesome? 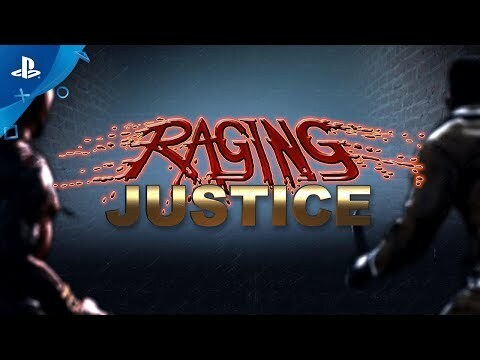 See Raging Justice in Action! Raging Justice. Developed by Makin Games. Music and Sound Design: Copyright 2017, Steve Burke. All rights reserved. Published by Team17. © 2018. Team17 is a registered trademark of Team17 Digital Limited. All other trademarks, copyrights and logos are property of their respective owners.